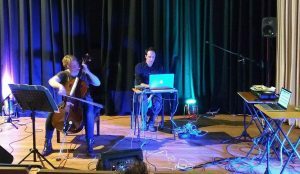 On Wednesday 1st November 2017 guest artists Alice Edridge, Chris Kiefer, Thomas Gardner and Laura Reid featured alongside BU’s Tom Davis for a concert of music for cello and electronics in the Allsebrook Lecture Theatre, Talbot Campus. 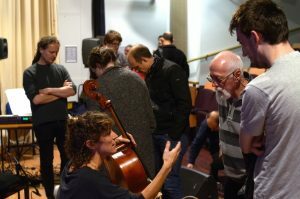 Organised by Dr Ambrose Seddon (Creative Technology; EMERGE), the programme included The Feral Cello performance system developed by Tom Davis (Creative Technology; EMERGE), for which composer/cellist Laura Reid has created a new work, Gemmeleg (2017). 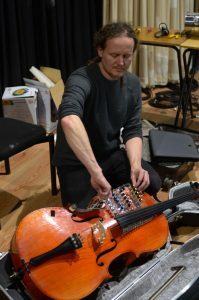 Tom’s system incorporates machine listening and actuated feedback to alter the response of an acoustic cello in real time during a performance. 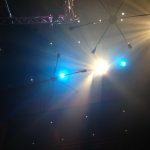 Thomas Gardner (London College of Communication) performed his work Lipsync (2006), for cellist, lips, and 6 channel live electronics. 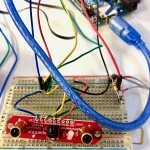 His composition explores various levels of synchronisation between action and speech, poetic idea and sonic image, acousmatic sound and live instrumental performance. 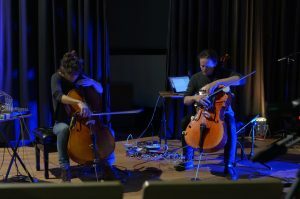 Finally, Alice Eldridge and Chris Kiefer (University of Sussex) performed with modified cellos featuring transducers, sensors, loudspeakers and electronic controllers mounted onto and into the bodies of their instruments. 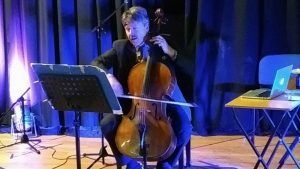 Audience members had the opportunity to get close to the modified cellos after the concert and talk with all the composers and performers.